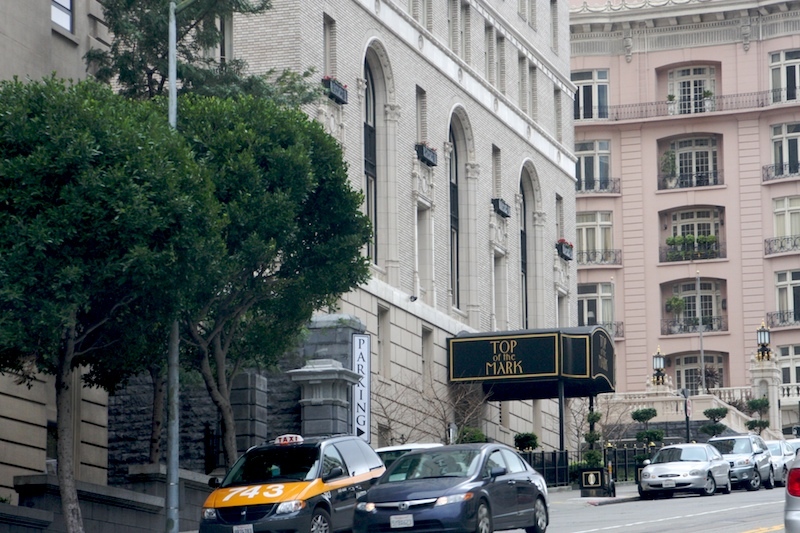 We've driven through Nob Hill a lot, but almost always at night so it's hard to recall noticing it. 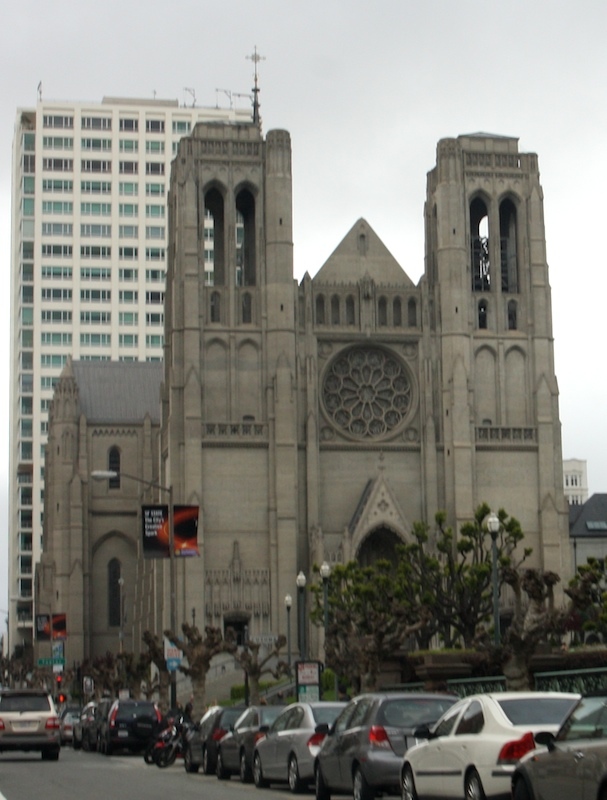 Can you imagine not noticing the Grace Cathedral?? I know! Me either. 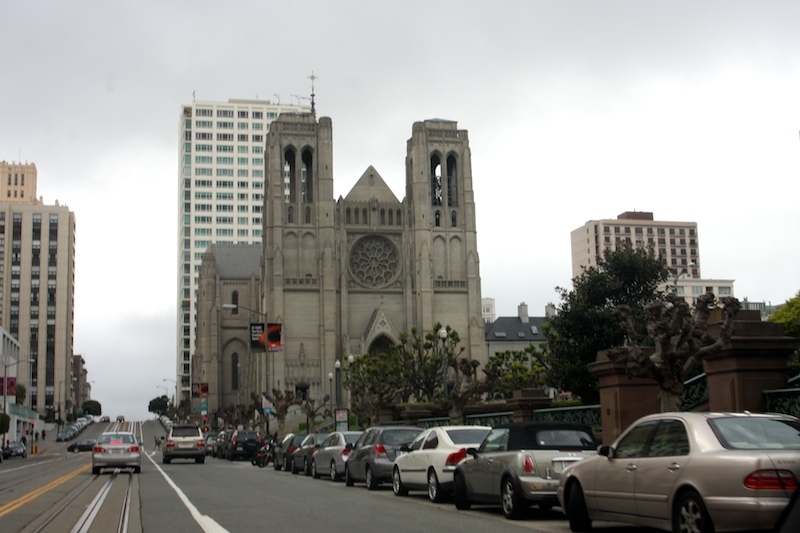 In my defense, we've only driven by the back of the cathedral and never in front of it. 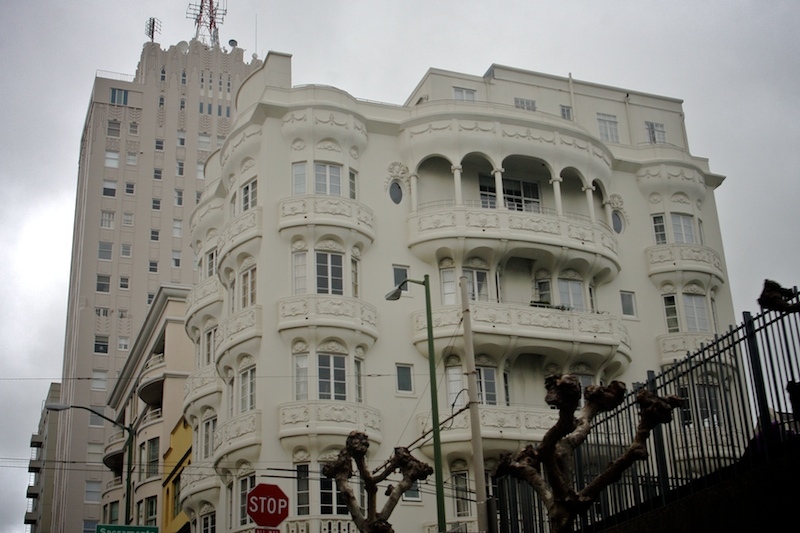 But still, I had no idea it was in Nob Hill till I was google.map searching one day. Is it just me or do you ever google.map something in street view then end up 'walking' all over that neighborhood? If so, check out mapjack.com. Even better street view mapping program but it's still in beta so lots of revisions going on. 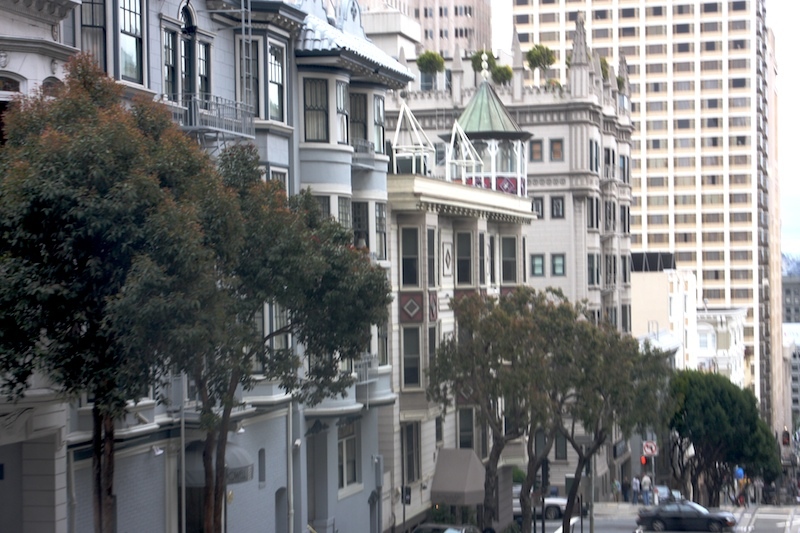 Anyhoo, I suppose that when it comes to researching liveable neighborhoods, exploring Nob Hill is just for fun because like Russian or Telegraph Hill, an address in Nob Hill is out of the question. Sometimes it's called Snob Hill, and according to wiki, "Nob" is shortened from "nabob," a 19th century slang term synonymous with "snob". where you can go for drinks or dinner at the famous Top of the Mark and enjoy 360 degree views of San Francisco and the bay. 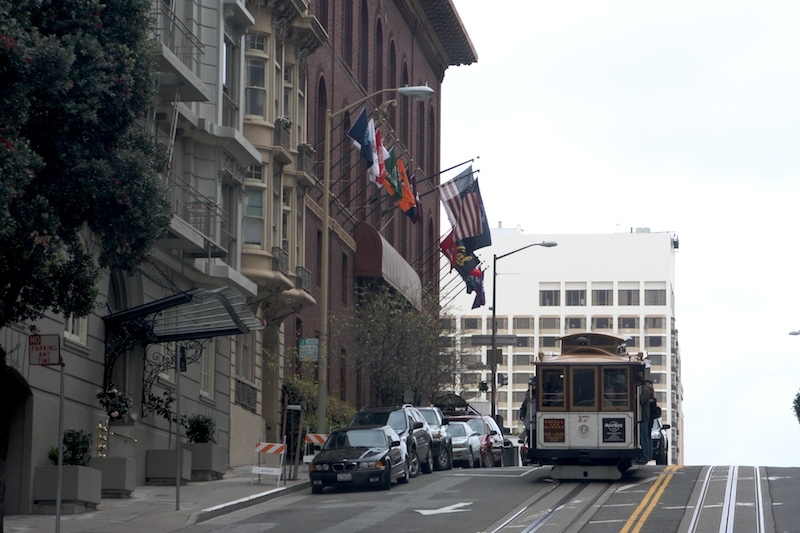 Plus if you lived here, cable cars are right at your door step. 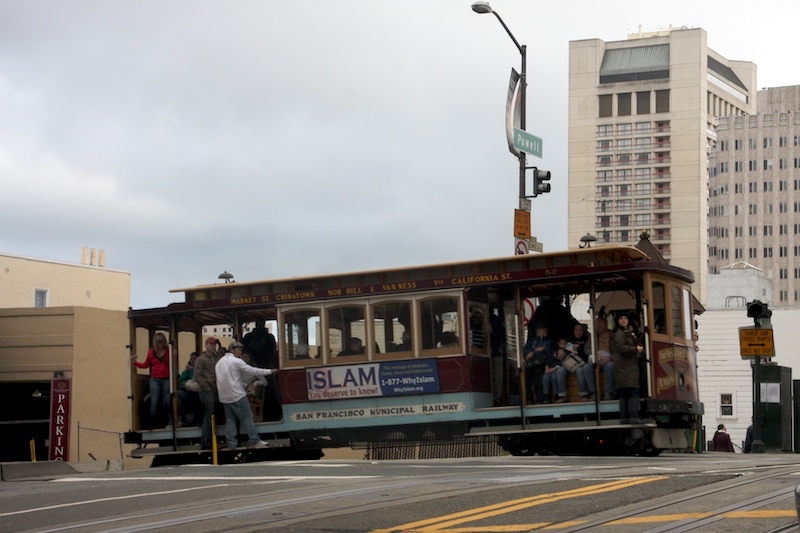 Taking you to the Financial Center, or Union Square or Fisherman's Wharf. 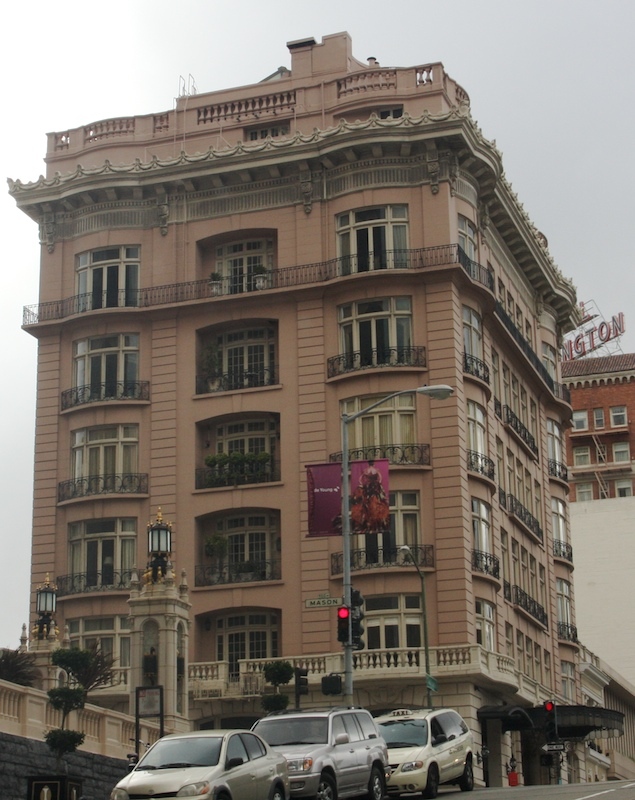 I could dream about living in this spectacular building. Do you think it's worth the millions? Thanks to everyone who's been following my jaunt through the city. I'll be out of town till Sunday or Monday. I have just a few more neighborhoods to show you. We always try to sit on both sides of the Cable cars so we can see the glory of these places. It is one of the best car rides. Have fun. Just so you know...the apartment I lived in was essentially in the basement and was priced accordingly. Cute little place, just cold most of the time. What's my point? B) maybe you CAN find something there that is in your price range. i'm not much of a city girl, so i can't really imagine living there. people so close would make me a little crazy, but that said, if i had a bazillion dollars, i'd get a place so i could stay whenever i wanted. but i don't...so i won't. but it's fun to look at the neighborhoods with you because i've never been there. 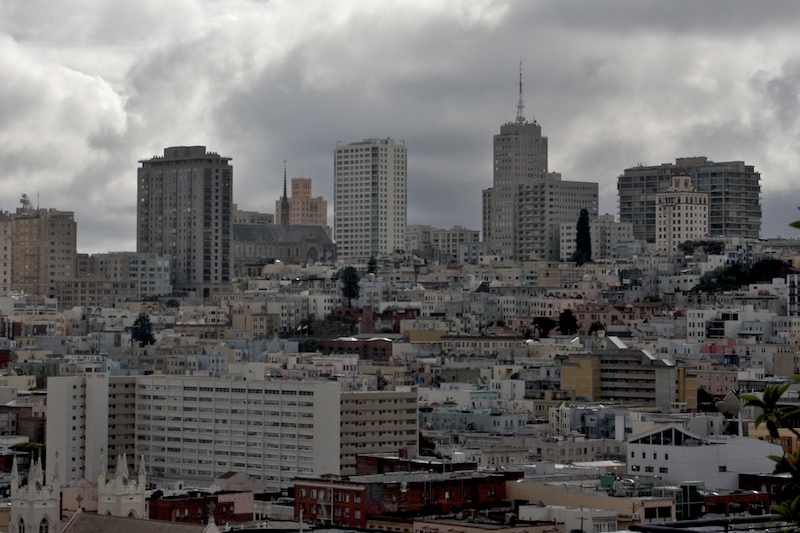 You can show as much of San Francisco as you wish, Mad, because it's a city that never tires me! It's fun to imagine what it would be like to live there.